WordPress: An open source, highly customizable and flexible CMS—designed for everyone, not just developers. Any competent content management system (CMS) allows users to store, organize, and publish content—all from a central interface. We choose WordPress in most cases because it’s so incredibly friendly. Give a website admin a clunky, frustrating, one-size-fits-all dashboard to manage and publish content on and you’ll quickly see a website’s content go stale and money sunk into wrestling the CMS. WordPress puts all the tools into admin staff’s hands without overwhelming it, providing intuitive, almost simple content publishing. Moreover, we’re able to customize the look and functionality of the dashboard to cater to the everyday needs of the website admin. Updates are a breeze, the website stays fresh, and everyone is happy. WordPress is unbelievably flexible and is a foundation for nearly any website we can imagine. With it powering over 75 million sites worldwide, WordPress is the most user-tested, community-supported, open-source, vastly extensible CMSes available. WordPress makes it easy to create keyword-rich URL titles, optimize meta information, keep XML sitemaps updated, and even add schema microdata using plugins, such as Yoast’s WordPress SEO. With a little training, anyone can learn to optimize page content throughout the site. While we love WordPress, it’s not always the right fit for every project. We listen to our client’s vision, ideas, and specific marketing goals and then develop a solution. If functionality requirements extend beyond WordPress capabilities, we explore other, often custom-developed, solutions or alternate CMSes. WordPress is not easy. But learning WordPress is. When the team at Visit Seattle approached us, they were frustrated by their current, stale, cumbersome website—and wanted more control and flexibility. After hearing their pain points our goal naturally became to deliver an intuitive experience that is as easy-to-use behind the scenes as it is for the end user. 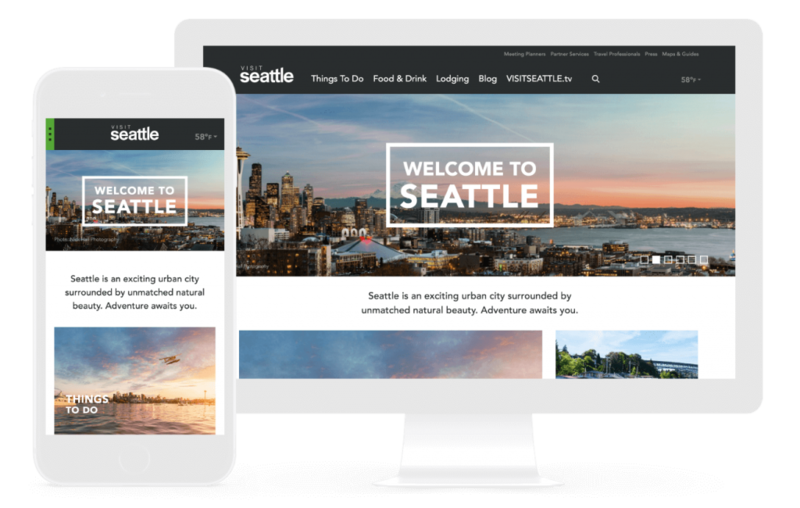 Using WordPress and highly dynamic content blocks, we gave Visit Seattle complete control and maneuverability on the backend—so moving a call-to-action, rearranging the sitemap, or replacing content is as easy as a drag-and-drop. Not all content management systems (CMS) are created equal. 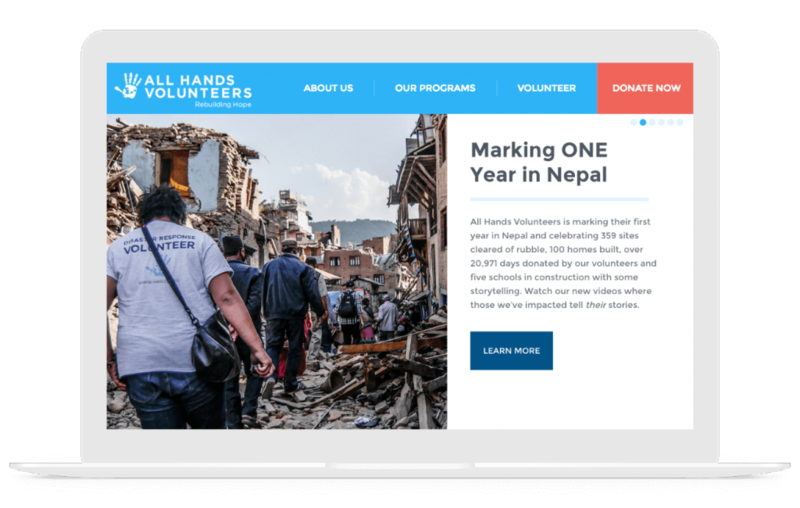 While All Hands Volunteers’ (AHV) previous website was built on WordPress, it was cumbersome and difficult to keep up to date. AHV required an intuitive, user-friendly admin solution to add, edit, and remove all types of content—quickly. We build a dynamic content block solution allowing the AHV team to build, revise, and shuffle extremely flexible, stylish pages without worrying about any code, layout, or design. So, when volunteers want to add a progress update video to the Pagatpat Typhoon Response project while taking a breather from mixing concrete, they can—quickly and easily.